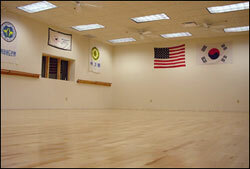 At NorthEastern Martial Arts Academy, we offer a wide variety of classes for people of all ages and all walks of life. GrandMaster Mitchell Barron, Chief Instructor and co-owner with his wife Suzyn, began his Martial Art training at the age of 12. He is a 7th Degree Black Belt with the World Tae Kwon Do Federation which is located at the Kukkiwon in Seoul, Korea. The World Tae Kwon Do Federation is the largest Tae Kwon Do governing organization in the world. GrandMaster Barron also trained for over six years in Northern Shaolin and Southern Shaolin Kung Fu under world renowned Sifu Karl Ronain. He and Suzyn, a 2nd Degree Black Belt are both National Advisors and Instructors for the Women’s Personal Safety/Self-Defense and Assault Prevention Organization International which is based in California. Master Barron has personally trained our friendly, patient and caring Instructors to ensure the highest quality in Instruction. We offer classes for Families, Adults, Teens and Children. Whether you train with your family or you train alone, you will start seeing the benefits of Tae Kwon Do training immediately. We believe in improving the total person. Our programs are taught with your every need in mind and you can be assured you will receive the personal attention you deserve. Our unlimited class policy allows you to attend as many times a week as you wish. Start improving you fitness, health and well being today. Our exciting and unique programs focus on developing effective self-defense techniques, character, respect and self-control in a safe and friendly environment. The things you will learn at the Academy will help you to face the daily challenges of life with excitement and passion. We will teach you to break down barriers in your life, so you may reach your goals. Whether those goals be black belt, more confidence, weight loss, or whatever goal you wish to reach, we will be by your side to help you accomplish them. From the first time you walk into our school, you and your family will be able to feel the difference of NorthEastern Martial Arts Academy. Master Barron’s philosophy is that Tae Kwon Do is a way of living and thinking and a process of self-accomplishment. Tae Kwon Do is about making ourselves the best we can be and helping to make the world the best place it can be. Respect and self-control are the trademark of quality martial arts instruction. We pride ourselves on quality service, Where personal attention is the rule, not the exception. Classes for Children, Teens and Adults!